Like Ben Rortvedt, Gavin Lux is position player from the Badger State that can really swing it from the left side. Lux has some of the quickest hands in the draft class and at a lean, well-proportioned 6-foot-2 and 175 pounds, Lux projects to add some more power as he continues to fill into his athletic frame. 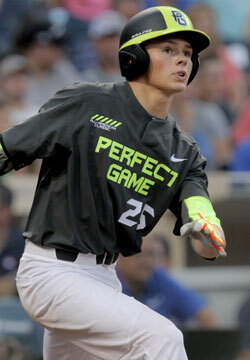 He also quick feet and shows the soft hands and smooth actions to handle either middle infield position.